The story of Sam Feldt begins at a very young age, some twenty years ago. His father being a musician and his mother an avid festival-goer, barely a minute of Sam’s early life went by without music in the background. Whether it was his dad singing and writing songs or the latest records being played, Sam was amply inspired, and he soon signed up for music lessons. The youngster was more interested in creating his own tunes than playing the songs the curriculum prescribed, however, and before long, Sam’s keyboards teacher was showing him the basics of production. Just a hobby during his early teens, his production efforts turned serious after a half-year- long internship on the Caribbean island of Curaçao introduced him to the tropical house sound. After adopting the ‘Feldt’ moniker, Sam was signed to Spinnin’ Records and burst onto the international scene. 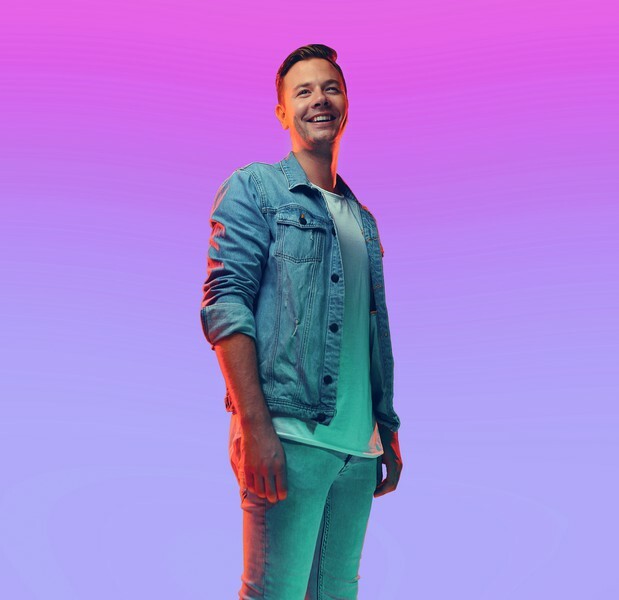 Having made waves with a number of popular singles – most notably, his remake of Robin S’ Show Me Love and his collaboration with fellow Dutchmen Lucas & Steve, Summer On You (ft. Wulf) – Sam Feldt released his debut album in 2017, when he was 24 years old. Called Sunrise to Sunset, this conceptual record boasts 24 tracks, one for each hour of the day. With this thoroughly engineered musical statement, Feldt demonstrates his ability to accompany the listener from their first cup of coffee in the morning to their last moves on the dance floor at night. Full of instrumental sections as well as diverse vocal contributions ranging from R&B star AKON to folk singer-songwriter Joshua Radin, the album is a showcase of the breadth of Feldt’s musical ability. A few months after its release, Sunrise to Sunset was followed up by a remix album, After the Sunset, which bolstered the original with remixes by Zonderling, de Hofnar, Breathe Carolina, and many others. The Sunset albums have cemented his sound and his status as a highly capable producer, but Sam is not about to rest on his laurels. 2018 has seen several new singles come out, including Down for Anything (ft. KARRA), Just to Feel Alive (ft. JRM) [Remix], and a collaboration with famous Hollywood actor Jeremy Renner on vocals, called Heaven (Don’t Have a Name). In the meantime, Sam has been taking his live performance to entirely new levels. Characterized by heavy use of vocals and live instruments, Sam Feldt’s music is warm and intimate, and lends itself especially well to true live performance. Accordingly, some of the musicians from Sam’s studio are now joining him on-stage. With Quirijn on trumpet and Tariq on sax, the live band has already conquered Coachella, Ultra Music Festival, Life Is Beautiful, Creamfields and Mysteryland, and with Jordi joining on guitar since ADE 2017, the quartet now makes for a live show unlike anything else in the world of electronic music. Though grateful for the many opportunities he and the band have had playing the world’s most wonderful stages, Sam has developed the ultimate way to experience his cheerful music with the Heartfeldt pool parties. The obvious key ingredient being a swimming pool, the concept brings the summer vibes of Sam’s music to life with a line-up hand-picked by the master himself. After a first edition at ADE 2016 – it was freezing outside, but tropical inside the venue – and subsequent successes at Miami Music Week, Heartfeldt pool parties are now being rolled out all across the world. content; fans can also send Sam demos and unlock exclusive content. Last but not least, the website is home to Heartfeldt Radio, his home-made radio show that has been syndicated (aired on official radio stations) in over 40 countries. Not just uplifting in his sound, Sam is always looking for ways to help out others. First of all, the technology behind Heartfeldt.me was designed as a modular platform from the ground up, so that it could also be used by other parties. Called Fangage, the system now serves around 40 artists and influencers around the globe.